With vacation rental occupancy rates booming in Croatia, Pula-based Intersoft sought to develop a highly-secure, technology-based solution to make life less hectic for property renters and their guests. For the core of their new app-based service, they chose the ENTR® smart door lock from ASSA ABLOY´s trusted brand Yale. Intersoft’s new Entrerio® solution needed a lock with simple, wireless installation on existing doors, with no drilling; ease of app use for guests to create a seamless experience; and the ability for owners and agents to issue and revoke keys digitally. Why did they decide on the ENTR smart door lock? “ASSA ABLOY products have shown to be the most reliable in the market, and technologically more advanced than competitors’ products,” says Dean Verbanac, Intersoft’s CEO. Entrerio is a tool designed to improve quality of service and guest satisfaction. This new digital key management system allows users to send digital keys directly to guests’ mobile devices—from anywhere. 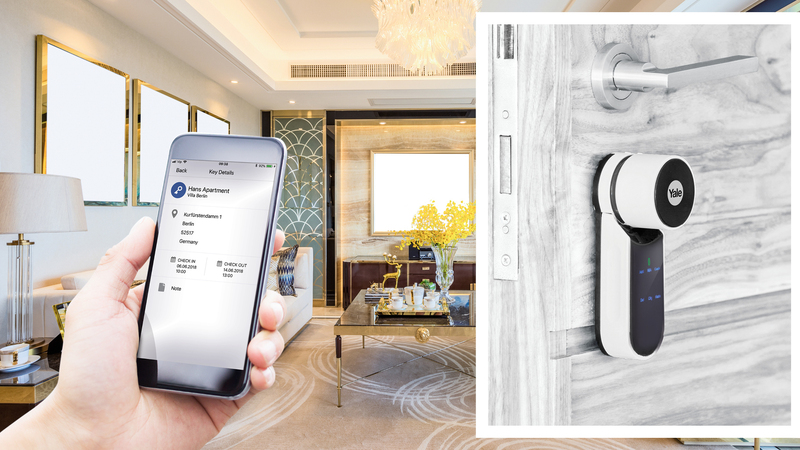 Guests can open the door to their rental apartment with just the Entrerio app and a secure Bluetooth connection. “The integration process was not complicated at all,” confirms Verbanac. App notifications inform a property owner when a guest enters their apartment for the first time and when their ENTR lock’s battery is below 20%. They can also call up an audit trail of all their keys from Entrerio. For guests, push notifications keep them constantly updated with key validity and activation. Now, property agents no longer worry about fixing an appointment to hand over mechanical keys to guests. Using Entrerio, they send a digital key when payment is received, with its exact validity period already programmed. When the rental period ends, the key deactivates automatically. They can also choose to deactivate it remotely at any time. The secure ENTR smart door lock system is also available Europe-wide in an all-black version. Image: ASSA ABLOY. For guests, there’s no waiting around; they can arrive when they choose, using a key that’s already active on their smartphone. They feel safer because Entrerio removes the risk any previous guest has lost or copied a physical key. They can rely on high-security, patented lock technology from a trusted home security brand plus 128-bit AES encryption for all communications between the Yale ENTR smart door lock and the Entrerio app. For Intersoft, the new Entrerio app and ENTR smart door lock integration is opening doors to grow their business, including possible API integrations with online booking, property, and channel management platforms. ASSA ABLOY is the global leader in door opening solutions, dedicated to satisfying end-user needs for security, safety and convenience. The Group has 47,500 employees and annual sales of EUR 7.9 billion. You can visit them at www.assaabloy.com. Intersoft is a software development agency based in Pula, Croatia, with wide experience developing solutions for the tourism sector, including mobile accommodation apps. Previous clients across Europe include Park Plaza Hotels (parkplaza.com) and OneSuiteHotel (onesuitehotel.com). Intersoft was nominated for Innovation of the Year by the Croatia Tourism Board. You can visit them at www.intersoft.uno. 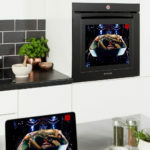 Previous PostAre Smart Homes Normalizing Energy-Efficient Living?